One of the classic chest exercises is the push up, so I created a push up workout for you that thoroughly engages your chest and abs. I also have a couple more push up workout ideas at the bottom of this article. 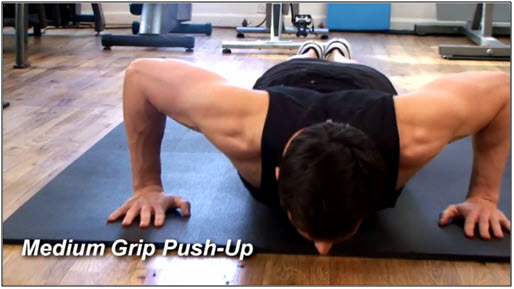 For an intro video on push ups, check out How To Use Proper Push Up Form. What I enjoy about the following workout is that you hit your entire chest muscle effectively with the different hand positions, while engaging your shoulders and triceps as well. On top of the benefits to your “pushing muscles”, by alternating with abs movements, you can get an intense abs burn. If you think about it, a push up is like a moving plank, so you can get a very intense abs burn while still focusing on your push up workout. For a video demonstration of V Ups, check out this video: V Ups Abs Exercise. My hands are not that close together, so feel free to do a diamond push up, or bring your hands a little closer together without putting too much pressure on your wrists and shoulders. My favorite push up workout is very simple. All you do is choose a number, let’s say 150 push ups, then you do as many sets as you need to hit that number while resting about 30 seconds between each set. However many sets it takes you to get to the 150, than that’s how many you have to do. You can then either increase the number, or try decreasing the number of sets it takes you to get to the number you have chosen. This is the classic workout that I did every day for an entire year when I was a teenager, and I still do it now! One way to make the push up a little more dynamic is to choose 3, or 5 variations and complete a few sets of each. That’s a total of 9 to 15 sets of push ups that engage your chest, shoulder, triceps, and core slightly differently. If you haven’t seen my 10 Push Up Variations video, you should check it out (just be careful with the Aztec Push Up!). Hope these ideas were helpful for you. If you try any of these workouts, please leave a comment below and let me know what you think! V-ups & reverse crunch are the best abs exercises I have ever done. I always change up my circuit routine every few weeks, but I feel like I get the best results with those 2 moves. @Mike – Thanks for the comment. I think they are both great exercises as well assuming someone has strong enough abs to do them properly. I find it’s tough to engage the lower abs, but the v-ups and reverse crunch work really well. Sir,i want to know can push ups help to devolp chest? @Navrikian singh – Yes, push ups can definitely help develop the chest. In fact, some top athletes like Herschel Walker (a former NFL player and heisman trophy winner – see this article with more info about him – Inspirational Fitness Photos Of Men over 40, 50, and 60!. There was also research out recently which points to the fact that heavy weights are not necessary to build bigger muscles – Build Muscle Without Heavy Weights?. If you are able to add more volume over time by doing more push ups and harder variations (See 10 Push Up Variations), and you eat more calories than you burn with ample protein, you should over time be able to add muscle mass to your chest just by doing push ups. Marc – what do you mean by “outer”, “middle”, and “inner” chest? The pec muscle fibers run from the sternum across to the humerus – how can you isolate a portion of the muscle fibers with altering hand positions on a pushup? @Adam – That’s a great question. I just changed the “outer, middle, and inner” phrase I wrote in the first paragraph to avoid confusion. What I mean is that it’s possible to engage certain areas of your muscle more intensely than others. For example, your rectus abdominus is one long muscle that contracts every time you contract your abs, but it’s possible to engage the lower portion more than the upper portion depending on the exercise. When doing wide grip pushups, the emphasis is on the outer portion of the chest and the close grip, the emphasis is on the inner portion. Physiologically, there are really only two chest muscles, the pectoralis major and minor, and the major is sometimes separated into upper, middle, and lower. Sweeeeeeeeeeeeeeeeeeeeet, can’t wait to get ripped. These exercises are good for women too. Building the pectoral muscles helps to counteract the sagging of the breast tissue that can sometimes can occur after multiple pregnancies or just the natural aging process. But I have to admit that occasionally I do the “girl-version” of the pushup. Is there still a benefit if I don’t always the ‘full-version’? @Toni – I do certainly think there is a benefit as long as doing knee push ups is challenging for you. If you are struggling at all, then it may be too easy. I’ve actually done plyometric knee push ups with a lot of guys. Just a thought. 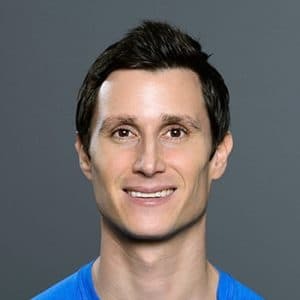 Great video Marc (as always), I do have a quick question though; you talk about overuse injuries and I get that, but I’ve also heard it said that for the most effective ways to get lean, cardio should be done almost everyday (I may have read that in one of your articles, not sure). So would it be safer, for example, to do this chest and abs circuit on alternating days like saturdays, mondays and wednesdays, and your “10 Minute Cardio Workout Using Step Ups” on sundays, tuesdays and thursdays, leaving one day for rest? The problem is that doing only pushup/abs 3x per week, you are only working 2 of the 5 movement patterns. Check out my facebook video if you haven’t yet: http://www.facebook.com/builtlean. 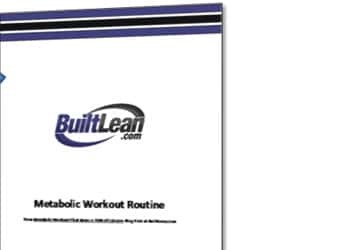 If you are not on Facebook, this article is also worth reading: http://www.builtlean.com/2010/09/11/20-minute-full-body-circuit-training-workout/. If you choose to do this workout 2x-3x per week, but still use the other movement patterns, that could definitely work. I’ve never recommended cardio every day, so you must have read that somewhere else. In fact, the traditional form of cardio (30-60 minutes of low intensity exercise) is almost completely unnecessary for someone in good shape who can do interval training and intense metabolic workouts. hey marc, i’m starting your workout as of tomorrow!!! i would like you though to tell me, how i can put it in a three time a week workout!! for example, i can max at 40 push ups at the moment. is there any way you can take time to tell me how many reps and sets i should be doing knowing that number. and i also want to include pull ups in my workout. any suggestions??? @koza – The goal is to max out on every exercise. Do as many as you can do. 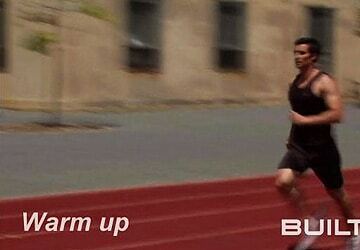 During the workout, the number of reps you will be able to complete will go down from around 40, to like 10. As I state in the article, I prefer doing 3 sets of each push up exercise paired with 3 sets of each abs exercise. 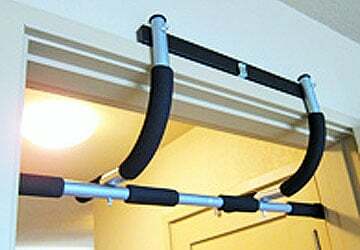 Sure, you can include pullups before doing abs (I used to do this ALL the time), so you do push ups, then pull ups, then abs. If you add in pull ups, just keep in mind doing 27 total sets is a lot vs. 18 total sets with just push ups and abs. 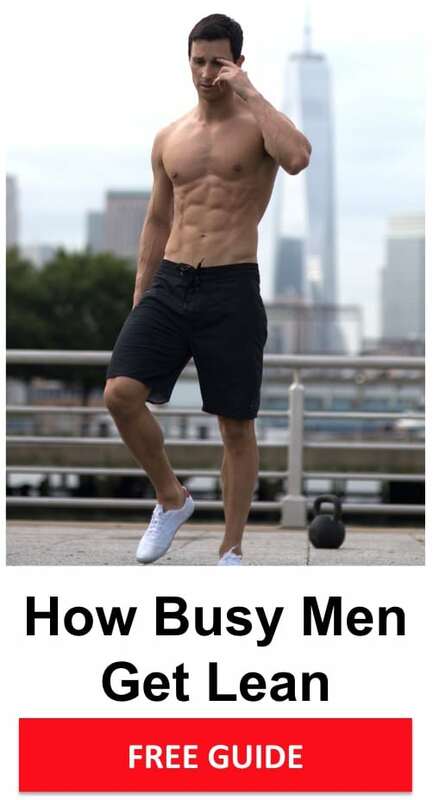 I’ve read the whole article and i have a few questions 1) whats more effective for chest, slow or fast push ups because if i do my push ups fast i can get to 30 but if i do them slowly i would only reach something like 10 without struggling. 2) you’ve said do these excercises 3-4x per week because then you dont over workout but what about i do these 3-4x per week but in the other 3-4 days of the week i would do excercises only aimed at the abs. Would that be a good or a bad idea? 3) can you over workout your abs? 4) when doing any excercise should you do it quickly to do more reps and burn more fat or should you do it slowly and calmly? @Eloka – I would focus on losing fat without losing muscle. Unfortunately, there is no exercise that can reduce fat specifically on your chest region. It’s mostly a nutrition problem. Check out my Get Lean Guide for more information which you can access right after inputting your email address. Thanks for the exercises. But u know i have a big tummy and i need to get rid of it.. could you help me on what exercises i must do? Shyam – Focus on your diet if you want to lose fat. The primary purpose of exercise from a fat loss perspective is NOT to burn calories, but to preserve your lean muscle tissue as you lose fat. @alex – I need to write a muscle building article very soon as your question is one I get very frequently and it’s best answered in a long article then a short comment. With that said, in order to build muscle, you need to eat ample protein and calories to help fuel your body to grow larger and at the same time increase the intensity of your workouts and stimulate your muscles by either (1) increasing the volume of your workout, which means instead of doing 100 push ups, you do 150, then 200, then 300 etc. and (2) lift more wight – so you could use a weighted vest to add more resistance. Good luck! Great workout thanks!!! Anyways quick question, what do you mean by 3-5 cycles? @Lucky – What I mean by a cycle is that each 6 exercises is one cycle, so you can do all 6 exercises for a few different rounds, or cycles. Marc, I am a fourteen year old male 5’3″ and I would really like to build muscle in my arms, chest, and stomach. I believe I weigh around 103lbs. I have a small layer of fat on my stomach that I would also like to get rid of to be able to get abs. Can you please help me and tell me what sort of excercises and workouts I should be doing to get bigger? I’m tired of being so skinny and frail looking, your help would be greatly appreciated thanks. @Miguel – I’m going to have to answer your question with a “say tuned”. In the meantime, you can check out this Q&A I did for Men’s Fitness on How to Get Bigger. This article has lead me to some of your other articles. Its really good stuff and your writing style is clear and has great flow to it. Thank you. I have a question about exercises that you do at home without tools (weights, etc.). Coupled with good nutrition, are exercises that use your body weight as resistance adequate? In other words, I don’t have access to gym equipment and would like to know if exclusively doing pushups, v-ups, crunches etc is enough or if I need to do more. 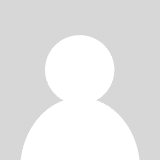 @Matt – Thanks for the compliments regarding my website. I love body weight exercises and I think they can be adequate to help you get a strong, lean, and muscular physique. The challenge is figuring out ways to progress the body weight exercises and make them harder so you keep on getting stronger and getting results. You should also seriously consider adding in plyometrics into your exercise routine. Finally, a weighted vest can add weight without the needs for a full set of weights. I am 17 years old and I leave for basic training in 11 months I weigh 200,pounds sadly… But that being said what are the best foods to eat to avoid fat because I need to het down to170 pounds. @brent – the short answer is to eat real food that was not made by man. A famous fitness icon used to say, “If man made it, don’t eat it”. For more on this concept, check out these articles Empty Calories At A Grocery Store Near You! + The (New) 5 Food Groups to Get Lean & Healthy? + Top 10 Fat Loss Foods. Hello marc , i would like to know if i should do this routine three times a week and i’m thinking about rest or stretching exercices in the other days , i’m not fat but i would like to have a good looking abs and increase my chest muscles ? i’m soon to be 18 (2 august) and i’m 5.83 tall and i weigh 153 pounds should i get fet some weight in order to build a nice chest and abs or is my weight already good to get ripped ? @Koko – It’s tough for me to say without physically seeing you, but my guess is you don’t have to be huge to get a well defined and muscular chest along with a six pack. Somewhere around your weight level should be fine. Hello Marc, I found your website really informative and useful. I am “get-set-ready” for some fat loss exercises. I’m a 22 yr old male , 5’9″ tall. My chest has accumulated fat and it looks weird if you know what I mean…It is quite embarrassing when I wear tight t-shirts. Could you please suggest me some routines in order flatten that region. @Jeremy – Unfortunately, it’s not possible to spot reduce, meaning losing fat off of on particular part of your body. Where fat is lost as you lose fat is genetically predetermined. If you focus on losing fat without losing muscle, the fat will eventually come off your problem areas, such as your chest. Thanks for the tips and videos. Question: Men’s Health has an article (Google it) about a 3-minute pushup challenge. They say anything below 55 pushups in 3 minutes (resting whenever you want but keep the clock running) is below average, 55-74 is average, and 75 and above is good to excellent. Do you concur with that range? And does it matter if these are wide/medium/close in this kind of test? I’m 57 years old this year, and I find I can do a good set of 20-25 in a steady pace without resting, but then I need to rest and my stamina just doesn’t hold up entirely before the three minutes is up. I end up around 42-45 total in that time frame, which they say is below average. What happens is I’ll do my first 25, then rest for 30 seconds or so, but then my next set is very much diminished before I run out of gas. Rest again. And then I really struggle to do a couple (and I mean a couple!) before time runs out at the end — I feel totally drained. I just watched some ripped dude who is a coach, too, and he managed to do 67 in three minutes — just “average” according to Men’s Health. Your thoughts on this whole 3-Minute test? @Slappy – It’s really funny you ask this question, because I remember seeing an article by Men’s Health about testing how fit you are (I think it’s the same article probably) and I was shocked at the ranges they are giving. I think the ranges they are giving are absurd. Hope that answers your question. I think a 30/40/50 would be better. Marc, I would like to know what to do to be able to lose the small “love handles” I have, not to mention the small layer of fat in my belly preventing me from seeing my abs. I don’t have access to weights because I am still a teen and would not like to stunt my growth. Can you help me by telling me what to do to loose the unwanted fat and get abs? @Octavio – focus on losing fat without losing muscle is your best bet. Check out my free Get Lean Guide for more information. I’m 15 years old (16 in September), I’m 5 ft 10, about 135 pounds, my abs are visible but not properly defined, i am pretty strong for my age, but i want to put more mass on my shoulders, triceps and chest….i have a pretty good diet, i eat a lot of chicken and more different meats…….. I have dumbbells and a barbell, no other equipment….what kind of workout should I do to put on more mass? What is the best exercise that you can give for reducing belly fat? And does doing push up and chest work out with dumbells good? Because some says if you do push up u should not do any chest work out with dumbells..is that true? 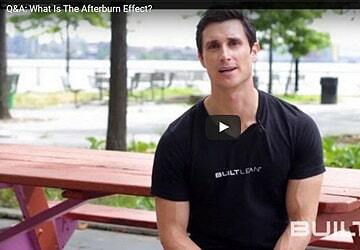 @Dec – There is no best exercise for losing belly fat. Doesn’t exist. 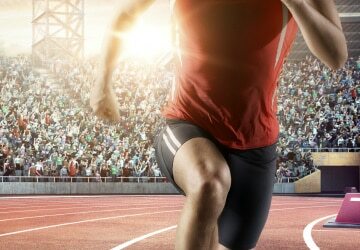 I would recommend full body strength training workouts and high intensity interval training such as sprinting, both of which can help you burn more fat and increase your metabolism a bit. Keep in mind nutrition in my opinion is responsible for at least 80% of your results. That’s why it’s so important to focus on nutrition and eating quality calories and less calorie than you burn! what do you think of this ? and how should i schedule this workout into my week ? how many times should i do it per week ? @Koko – I would do this workout on opposite days when you are not training if possible, but it’s up to you. And yes, I wouldn’t do the workout on the day of your football match, or even the day before. 2x per week is a good start, just make sure you are doing other functional movements including squats, lunges, pulling (horizontal and vertical). Good luck! Hi Marc, I wish to start your exercise tomorrow. but i have 1 quick question for you, does this help to build a square chest too? as in the upper chest ? Hi Marc, I know this has nothing to do with push-ups but is there anything I can do to increase in PULL-UPS? I can only do 2 or 3. @Silvian – I’ve been dying to do a post on pull ups, so thanks for reminding me! The short answer is to slowly but surely build up your strength. So you start out with let’s say 5 sets of 1-2 pullups, then each week you try to do just an extra couple pull ups each time. Additionally, losing fat without losing muscle will make your body lighter, which can help a lot. I know this isn’t much of a description, but I really need to do a video on how to do more pull ups. @Tanmare – Unfortunately, it’s not possible to expand your rib cage because our bones stop growing around 20 years old and it’s not possible to increase the length of your bones with exercise. You can, however, increase the appearance of thickness in your torso by developing your lats, serratus, traps, and chest muscle. These muscles help your upper body look more massive. there is one more problem Marc. my two arms are not equally muscular. actually my right arm is more muscular than left one. so how can i make those equal? @Tanmay – That’s a tough one. The best bet is to try to use dumbbells to help correct the muscle imbalances and secondly to make sure you keep your form identical on both sides of your body. For example, you may shrug your shoulders on one side while you do push ups, which is a common compensation. Hi Marc, I started this workout few days ago and i think this is a really great exercise. I just wondered, is alternating between push ups and sit ups better than doing 3 sets of push ups then do 3 sets of sit ups after the push ups? Will the results be the same or different? great article..of u tell me what is the perfect distance between two hand in push ups..
@Alex Raf – there is no perfect distance, because different hand grips change the exercise, which I do frequently. With that said, the military push up requires that your hands be slightly wider than shoulder width apart and slightly below your shoulders, similar to how I am demonstrating in the video. How many times a week to do this workout? Conrad – I’ve answered this same question I’m guessing a few times in the comments of this article. Short answer is to think in movement patterns. Think 2-3x per week could work well for you. Hi Marc, I am 14 years old and I want to know if is good for me to have a chest and abs,can you tell me a good way to have a chest and abs fast not to big and same for the abs if that possible. @karl – Please read our free Get Lean Guide. Focus on losing fat without losing muscle. can I do push-ups every day? @Ruben – Yes, you can. Check out this article (the bottom Q&A) Muscle Soreness: Recovery & Treatment and this one with Herschel Walker Inspirational Fitness Photos Of Men over 40, 50, and 60!. I am trying this routine but it is difficult for me to do a push-up of any kind because my elbows hurt, do you have any ideas that might make push-ups easier on elbows? @Nick – That’s a tough one. You may need to get your elbows checked out by a doctor/physical therapist. It’s possible you may have tightness in a muscle that is pulling on your elbow (such as your biceps). With that said, using proper push up form as I describe in my push up video – Proper Push Up Form: How To Do A Push Up. Would this be considered a high intensity workout? Hey Robert, I would say not really because it focuses on primarily two muscle groups and doesn’t include any leg exercises. This is an old article, I much prefer full body strength circuits and only train full body now!